Generally speaking, May isn’t a great month for stocks, but that shouldn’t preclude you from looking for high-quality stocks to buy that typically buck the bearish trend. 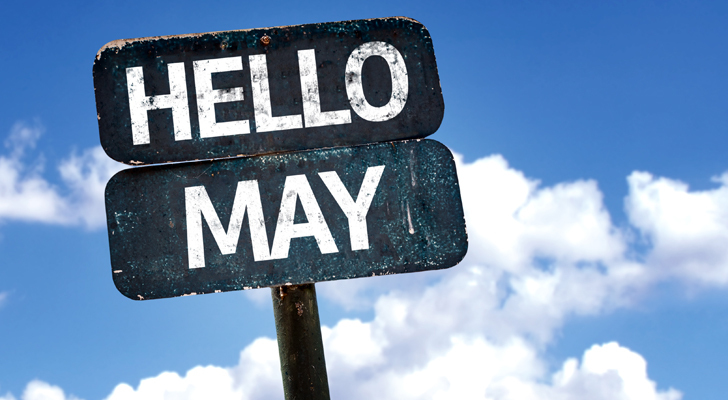 There’s a reason the phrase “Sell in May and go away” has become a key consideration for traders. On average, the S&P 500 loses 0.2% for the month that just recently got underway, making it one of only two net-losing months of the year — September is the other. Even so, that modest lull is misleading. Stocks tend to start may on a bullish foot and end it with some buying as well. It’s the two weeks right in the middle of May that cause so many problems, with the S&P 500 sliding an average 1.1% from high to low around then. That being said, May isn’t a miserable month for all stocks. A handful of names muster some surprisingly big gains as springtime winds down and begins to yield to summer. Click to Enlarge Cisco Systems, Inc. (NASDAQ:CSCO) is one of the market’s top stocks to buy for May, though to be precise, Cisco’s seasonal strength actually tends to last through August. Still, no one would turn away the average 5.3% advance CSCO shares are usually able to put together in just a single month. Be aware that Cisco is starting out May 2017 quite ahead of where it usually would be at this point in the year. If CSCO is going to defy the odds and outperform its usual pace, it’s mostly going to do so on how well it sells its new business model to the market. Click to Enlarge This year hasn’t been a fun one for Wells Fargo & Co (NYSE:WFC) shareholders, with most of them assuming last year’s gaffe of opening unauthorized customer accounts was in its past. It isn’t. WFC shares fell 13% from March’s high to April’s low after its most recent quarterly report confirmed consumers are still struggling to trust the banking behemoth. That big pullback may have set the stage for a big bounce, however, making Wells Fargo one of the best stocks to buy for a big May. WFC is a pretty steady Eddie anyway, but tends to heat up in May and muster a 4.1% gain for the month. Click to Enlarge Wal-Mart Stores Inc (NYSE:WMT) is another steady stock that, on average, makes evenly measured progress all year long. However, there’s also a noteworthy nuance: The late-April/early-May lull usually leads to an explosive move later in the month, with WMT stock typically gaining 6% in May. This year’s action thus far leaves it well positioned for that kind of upside again. The bullish May catalyst, by the way, is usually earnings. Although the world’s largest retailer has been lackluster on that front for a long while now, the previous quarter’s report offered a much needed glimmer of hope. Overall sales were up, and though profits were down a bit, same-store sales were up an impressive 1.8%. Another good quarter like that could light a fire under the stock. Click to Enlarge It’s been tough for some investors to trust, but the housing construction market continues to heat up. New home sales hit an eight-month high pace in March and are within reach of a multiyear high. (And they may have been able to get there in March had more inventory been available). In the meantime, a lack of inventory of new homes has people looking to improve the one they already own. Spending on remodels and home repairs is expected to swell 6.7% this year. It all bodes well for Home Depot Inc (NYSE:HD), and so does the stock’s history. May usually means a 6.6% gain for HD shares. Although the stock is a little bit ahead of its usual to-date pace for 2017 so far, there’s still plenty of room for upside. Click to Enlarge Last but not least, while it’s tough to like UnitedHealth Group Inc (NYSE:UNH) here in the shadow of the Justice Department’s accusations that it defrauded Medicare (never even mind the sheer uncertainty of what American healthcare will look like a year from now), this stock has a strong track record for May. On average, UNH shares gain 6.7% for the month that just got underway. The DoJ’s concerns aimed at other healthcare companies of late haven’t inflicted too much damage, and this is doesn’t appear it’ll be any different. UNH is even starting this May out with a bit of an advantage in that its actually trailing its usual to-date path. That leaves a little extra room for upside. Article printed from InvestorPlace Media, https://investorplace.com/2017/05/the-top-5-stocks-to-buy-in-may/.